According to an article from Wired Magazine, The Department of Homeland Security (DHS) has hired Accenture Federal Services to conduct a one-year investigation into the effectiveness of using social media to identify bio-terrorism, pandemic, and other national security risks. The $3 million dollar program will scan social networks, blogs, and other social media channels to identify certain keywords that DHS finds suspicious. For instance, if you posted a status update on twitter talking about having flu-like symptoms, the software could flag, and then find similar medical terminology within your groups or your local area. DHS is claiming the software will help them better predict pandemic outbreaks, or bio-terror attacks; privacy advocates aren’t so sure. In fact, DHS is already under investigation, and facing a number of lawsuits from civil liberties groups who claim the agency is using this information to conduct illegal and unconstitutional searches. According to a Statement from Accenture, the software will continuously monitor social media networks, blogs and other online channels that have yet to be identified. While in theory, this all sounds nice and beneficial; from a privacy standpoint, the system seems ripe for abuse. Earlier this year, we reported on the Department of Homeland Security’s attempts to monitor prepping and survival website, so the news that they’re now admitting to monitoring social sites and blogs really shouldn’t come as a huge shock. This is a pipe dream. 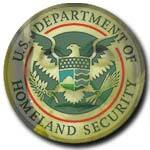 There are two choices DHS can make – scan for a very specific words, or scan all possible descriptive terms. It does not matter if it’s for pandemics, terrorism, or pie recipes. People simply do not always use the same terms to describe the exact same thing. We’ve known for centuries that two eyewitnesses to an event can see or remember different things. And this has to be useful for prediction, because they don’t need social media to locate a pandemic outbreak – medical reporting and 6 p.m. news will do that for them. They can scan for specific terms, e.g. “flu symptoms”, and get a misleadingly small set of data which could cause them to miss an outbreak until too late. Or, they can scan for everything possibly associated (e.g. diarrhea, skitters, shits, poopies, squirts, runs, etc.) and pick up everybody in the nation with a sick kid or who drank too much yesterday or who has lactose intolerance – a totally useless dataset. And the same problem would apply to predicting terrorists, jihadis, etc. Getting a useful set of ‘hits’ with a low probability of mistakes or junk data is nearly impossible. Further, the only way to get a set of search terms that produces valid results is to start with the wider selection of terms, analyze all your hits, and then eliminate all but those terms that give you a high percentage of accuracy on the subject you’re interested in. And that means sucking up all those people you shouldn’t be interested in and putting their data into your database in order to identify all the false hits and positive hits. In other words, everybody. But then, of course, our government will never delete the false hits data – data storage is too cheap nowadays – so you’ll be ‘in the system’ forever, without being of any value to the system. The basic problem with that is that with security bureaucrats across history, they say they have to watch everybody to catch the ‘bad people’, but then to their thinking anyone ‘in the system’ must be there for a reason so you’re a suspect just because their search terms hit on something you wrote. Friend, I respect your apparant knowledge of data collection, but you are woefully ignorant of data analysis, the ability of those who are motivated to discern, and the manpower and resources this administration (and past administrations) is capable of throwing at an enemy. For one, if you think that they are really going to use social media and the like to look for pandemics and bio-terrorism you are missing the point of their intention. What you should be focused on is “…other security risks”. What in the world do they need social media to tell them about pandemics? Hospitals are required to report trends in contagions and illnesess. And bio-terrorism?? Really? You think some who is capable of planning something like that is stupid enough to use social media to talk about it? No, they are looking for people with intentions of doing harm to the government, pure and simple. And that certainly narrows down their analytical spectrum, doesn’t it? sounds like Germany under Hitler,,,hum????? Bob, first of all they ARE stupid enough to talk about everything they do. In fact the current and prior administrations seem to like making announcements with what they think is tricky language – like ‘other security threats’. But they only fool the easily fooled and non-suspicious. I could have moved on to that subject as well, but I thought my first post was long enough and made the point. Apparently not, so I’ll finish it. Secondly, data analysis is in fact one of my fortes. That is how I know about the choice to be made. So to look for ‘other security threats’ as you suggest, they will need to first define the targets clearly, then will need all kinds of search terms – again dropping the confidence of the data – or very few, dropping the ability to predict much of what they want to predict. Is a person a security threat if they think the FRB should be audited or closed? What if they think big banksters gambling with critical commodity prices should be prohibited from doing that? Will you search for and ID everybody who uses the word ‘bomb’ – as in “the new ARBY’s sandwich is ‘da bomb'”, or I have to flea-bomb the carpet? The wider they define ‘security threat’, the more people they will find who aren’t really threats at all, and the more manpower they will need. What’s more, this can’t last. The feds are already cutting employee rolls, and this kind of analysis in only going to be worth anything if they have a human analyze it all for anyone the want to investigate. The financial meltdown of the western world is a possibility and if it happens will result in the budget for so much spying being cut severely. An energy crisis is also a possibility, and the cost of running and cooling thousands of terabytes of data analysis and storage will be a budget-buster too if that happens. So I’m pretty sure this in a game with an end-point. I could be wrong, and have been before, but not too often. Honestly, I think you give the police state more credit for brains that it deserves. It invented the TSA for example, with their diaper groping. Apparently every terrorist the FBI arrests was an entrapment. I think you’re just wrong to give them that much credit. To clarify, I’m not saying to not be concerned about this new effort. By all means it is just more intrusive spying on people who don’t deserve it (Americans in general), and will only serve to make us more distrustful of our growing ‘stasi’ government. What I have been trying to explain is that I think this will not be practical nor cost-effective for the feds, and also that we have more effective (for them) things to worry about – like them sucking up every e-mail and phone call you make and storing it for analysis (which they do), or that they record every dime you spend and what you bought with it if you pay with a check or credit card. Those things are expensive too, but they leave a complete and unambiguous trail of what you’re buying or expressing. (And if they already get all your email and phone calls, what are they going to get from social media that they don’t already have?) Sorting it for ‘key words’ or ‘key items’ is where it gets dicey. Bob, you are absolutely right. They want to know who we are and what we are up to, plain and simple. We have entered a time that I hoped I would never see in my lifetime. God bless and protect the sick, the feeble, the very young and the very old. These times, they are a’changing. By using a shotgun approach to search terms,they can just triangulate multiple terms. That will easily narrow the search to individual targets. Largetarget – aren’t you confusing this with the Petraus business where they checked locations against guest lists? Triangulating multiple terms will only show you where those terms intersect. But even the term ‘revolution’ has an innocent meaning. You might be putting it on your dog. And they don’t need to triangulate our locations, as the website will probably give up your email as soon as they get a letter for it or no later than a subpoena, and your ISP will give up your address, unless you falsified it and manage to keep up the payments somehow with a false address. People aren’t hard for them to find, just finding the dangerous ones out of all the rest – that is the problem.